Nose tip plasty operation; it is the process that is done to correct only the deformity of the nasal tip, where the anatomical structure of the nasal bone is normal. It can be operated using open technique and closed technique. 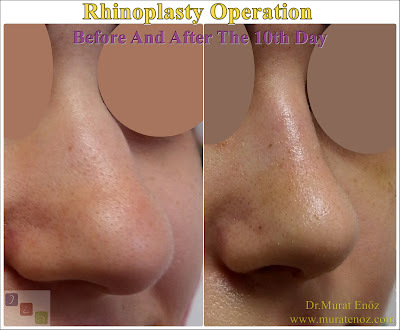 In the open technique nose tip plasty operation, the tissues forming the tip of the nose can be seen more clearly. In closed technique, the incisions are opened through the nostrils and there is no sign of any stitching seen from the outside. No splint or tape application is needed because the bone is not intervened. It only uses special tapes with silicone splints and supportive properties on the nose. 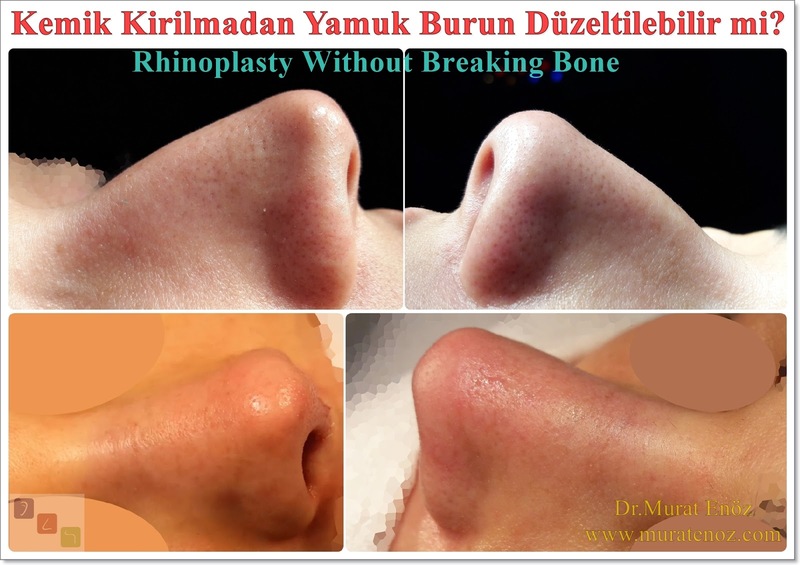 Reshaping is performed on the cartilage and soft tissue according to the malformation of the nose tip. 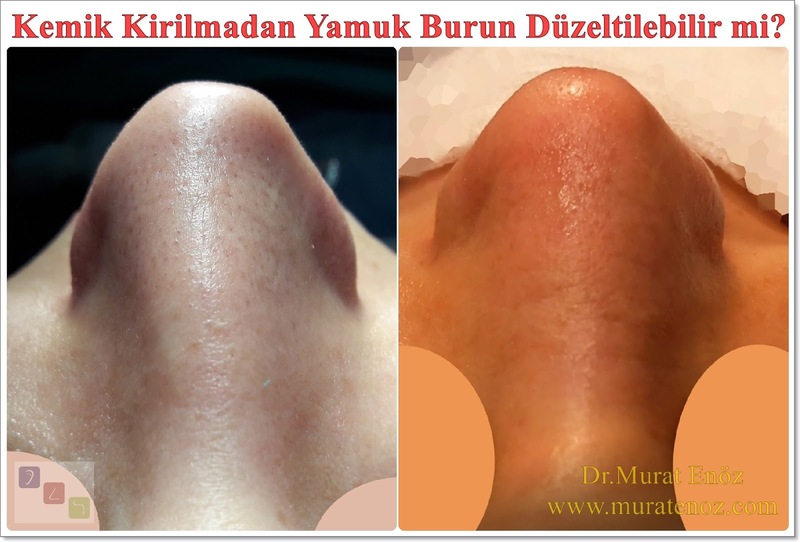 Nasal declination, elevation, narrowness, width, prejudice, sharpness, length or asymmetry are corrected. 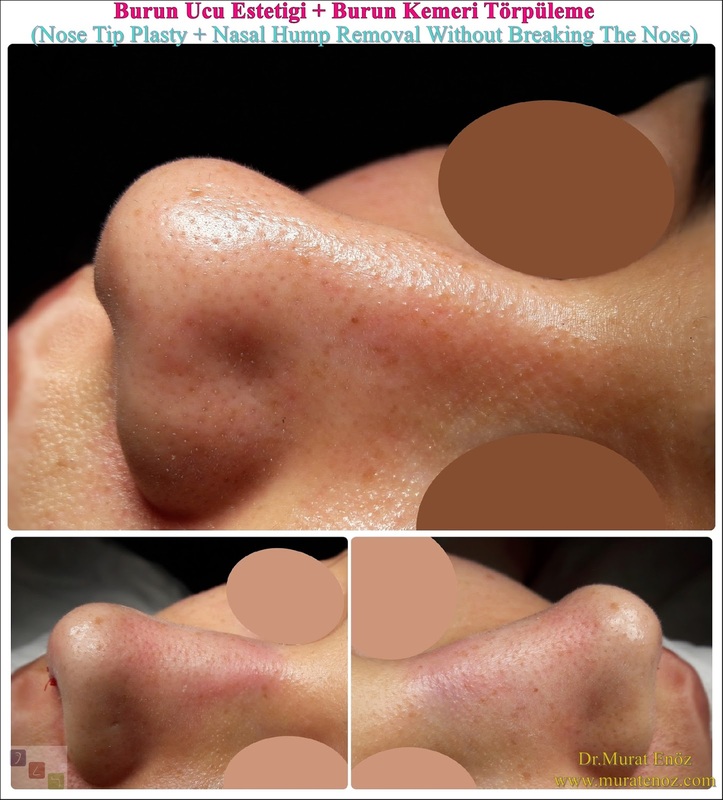 If necessary, the angle between the upper lip and the nose is adjusted again. 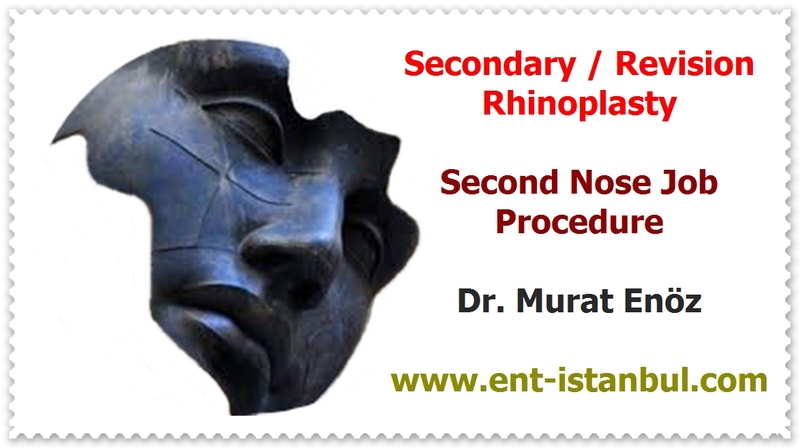 All structural and functional defects in the nasal tip can be corrected in a combined manner in the same operation.Nose tip plasty operation is done by open and closed method. In the open technique, a sac is made at the end of the nose and the nose skin is lifted to the alna. 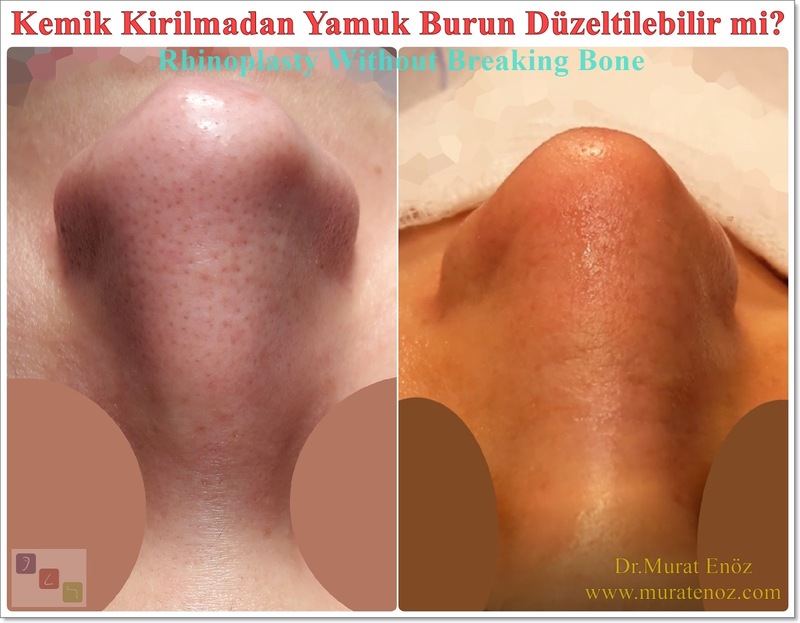 Thus, cartilage and soft tissue are revealed. 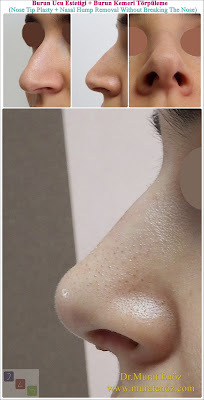 The cartilaginous tissue in the nose tip region is supplemented in places where there are deficiencies, and excised in places where there is an excess. After construction, this structure is stitched together with stitches. 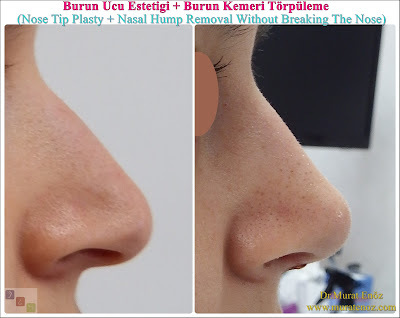 In this technique, an incision is made in the columella region at the end of the nose and the incision is advanced under the nose wings. 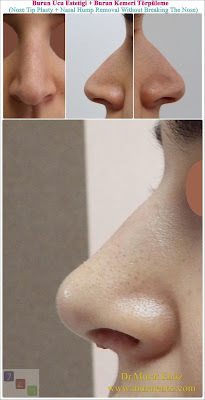 With this technique, the anatomical structures forming the tip of the nose can be seen more clearly. 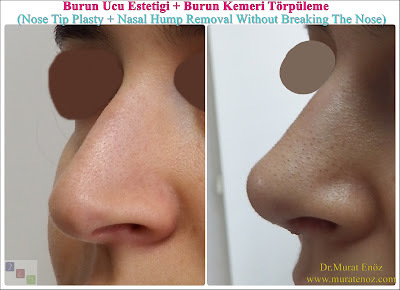 It is the ideal technique especially for patients with asymmetric nose tip and traumatic nose drop. 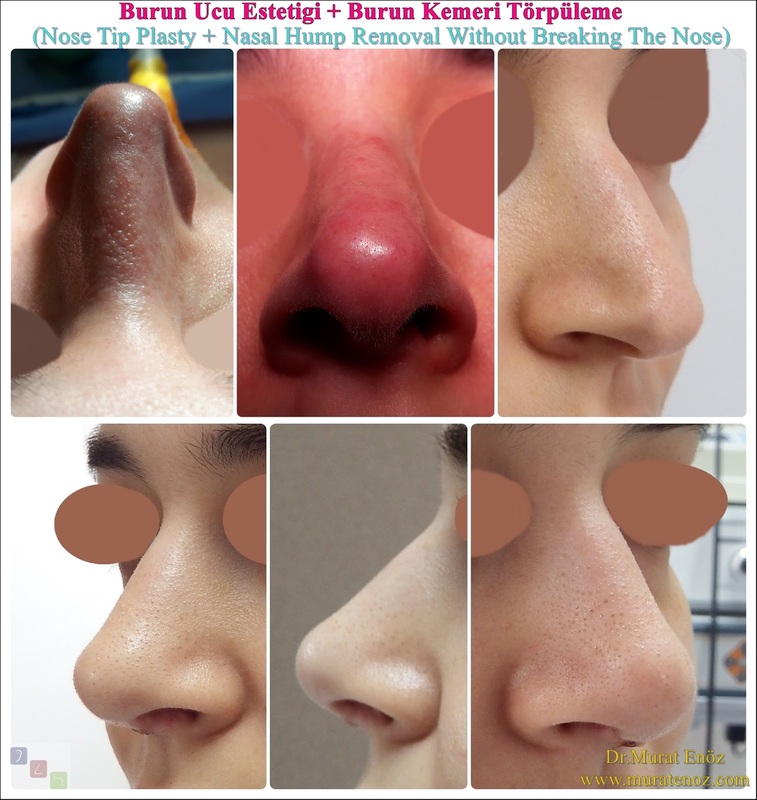 In the closed technique applied in nose tip plasty operations, no sacs are formed in the nose. You do not see a trace when you look at the tip of the nose from the bottom. 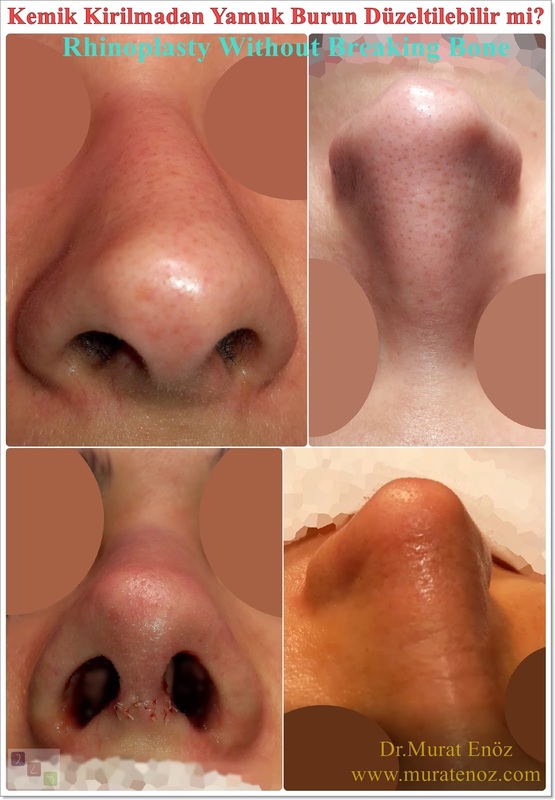 The nostrils are inserted through and the cartilages are partially removed and the excess sites are removed and shaped by the stitches.In this same process, if there is a deviation in the septum, it is a condition that prevents us to breathe. 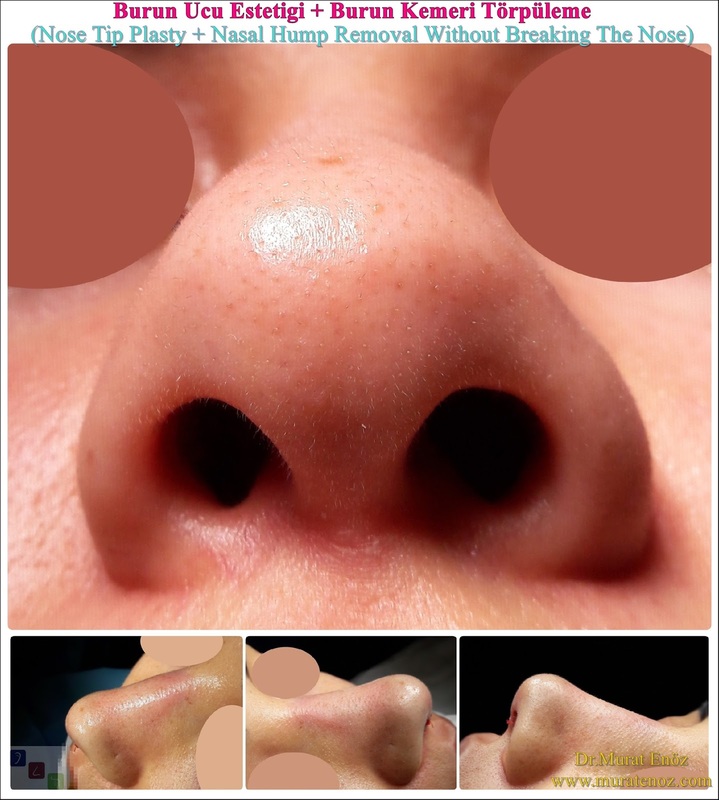 Or, if the soft nose of the nose is large in the soft tissue, it is more convenient to interfere with the laser or the radiofrequency to breathe them.Generally, I prefer open technique nose tip plasty operation because of excellent anatomic detail.